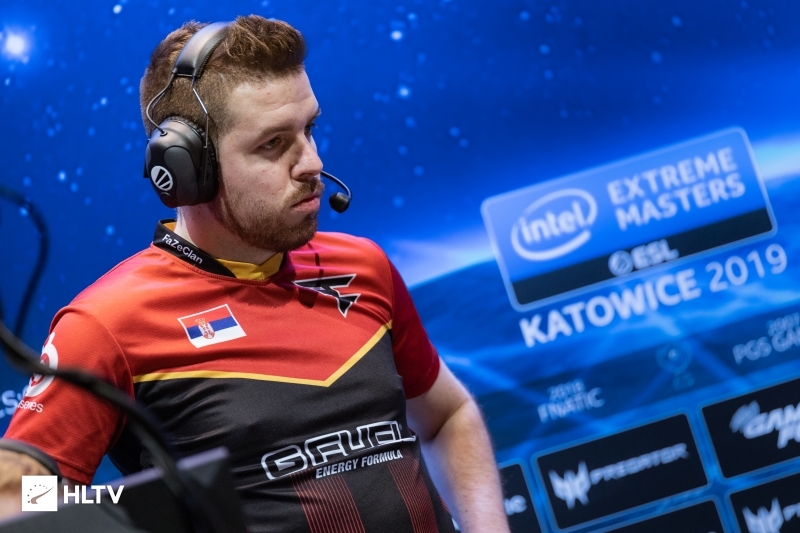 YNk: "There is that void in the IGL role that we will most likely try to fill, but not by force"
in a sit-down with FaZe's coach Janko "YNk" Paunović we learned about his approach to bootcamps, the team not participating in the roster shuffles and the form of individuals in his team. We interviewed the Serbian expert during the media day at BLAST Pro Series, with YNk shedding more light on their bootcamp prior to the Major, which Ladislav "GuardiaN" Kovács described as their best one ever. The coach also revealed that visa issues limited their playing time ahead of a busy tournament schedule. Talking about the team's form and potential, YNk thinks that a bigger sample size is still needed before a judgment can be made, while also confirming that FaZe are on the outlook for an in-game leader, but don't think a proper one is available right now. At the Major, talking to the players, I think it was GuardiaN who said that the bootcamp you had before was the best he has ever had with FaZe, so I just want to touch upon that. How is was it different than what they usually had and what was your role in it? For me, it's kind of hard to tell how they did it before. I just came in and I have a way I like to do things. I just set up a really clear plan because I think that in general, you need to practice with a purpose. Every day, we knew the maps we were going to play, we knew the opponents, and we just went through it asking what we're missing on the maps, do we need new pistols, more setups on the CT side, do we need to improve our rotations, communications, or whatever it is, and then it's just about saying "OK, let's work on this now." Then on the next day, maybe on the same map, we worked on something else, and it was just about making sure that we weren't just playing for the sake of playing, but that we actually had some goals and some things we were working on because I feel that that way it's much more productive. I think it's still prevalent in some teams, that they still just practice to kind of play. They'll put in a couple of strats, maybe, but they just play to play. I think you need to put a bit more thought behind it and kind of be a bit more efficient with the practice. When you exited MIBR, you kind of said that some of the players maybe didn't want to buy into your system and what you really wanted to do. It seemed like there was a bit of a clash going on there. How is that going on in FaZe? Did the players buy into your system, or did you not have to put that much of your own ideas into it? First I just want to clarify a little bit, with MIBR it wasn't something like this massive clash or anything like that. It's not like they didn't listen to me or anything, it was just that the guys, who were established players, at some point pushed back maybe a bit more than I would have liked, but it wasn't anything like criminal going on. With FaZe, actually, it is better in that sense. Pretty much anything I bring to the table, the guys have no objections to trying. Of course if I have an idea and they want to tweak it a little bit and say something like "yeah, maybe it would work better like this," of course we have that dialog, but pretty much, whatever it is I bring to the team... and I say "hey, let's do this now," they just do it, so from that side of things it has been really enjoyable for me to work in this sort of environment. It gives me the opportunity to test some of these ideas that I have, to see if they work in reality. So there's a bit of a roster shuffle season going on, and FaZe is currently outside of it, no rumors or anything. In that regard, AdreN is on this undefined trial/stand-in situation, so are you not looking for players currently, or are you just not able to sign someone who is of the caliber to fit into the team? I think long term, for us, we would definitely want to have an actual in-game leader so NiKo wouldn't have to do it, I think that is clear. 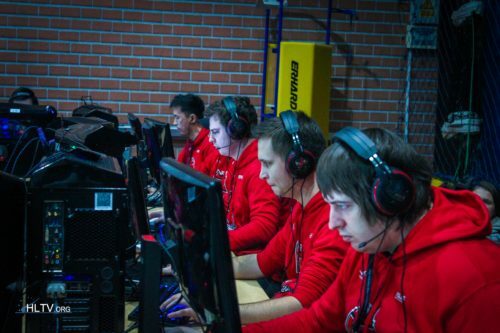 It's just that after the Major we didn't really see us having a viable option that we could get in that position and we thought that AdreN did really well with the team in the two months that he has played. We've done a lot of good work as a team, so the best way moving forward, at least in the short term, is just to going to keep going with the same roster and not bring in someone just for the sake of bringing him in. You never know if something like this works out and we end up playing really well and start winning, then we're not going to change anything. If it's not broken, don't fix it. But yeah, there is that void in the IGL role that we will most likely try to fill, but not by force. If we see an option that we think is suitable for us, then we'll get into the process of seeing if we're going to make that change, and if we make that change, thinking about what it will look like. Yeah, I think for us, we want someone whose natural role is leading. We don't want to just bring a guy to do what NiKo is doing now, just do it for the team. I don't think that makes much sense for us. We want a guy who's willing to do the work and sacrifice himself for the team, and I think it's very appealing to be the in-game leader of FaZe because of some of the individuals on the team. I could imagine, for a lot of guys, it would be very exciting. Having those pieces and figuring it out and trying to make it all work. But yeah, the only way we would make that change would be if we could get an actual in-game leader, someone who is committed to doing it and working it out. What are your thoughts on the team's directions, what is the team capable of? Are you happy with where you're at as a team? We still need a bigger sample size to really know where we stand. ELEAGUE and the Major itself... we got to play a lot of games, and we got a feel for where we are... We kind of fell short at the Major, we could have made it further than just top 8 which was the bare minimum for us. I feel like we put in a lot of good work before the Major, we created a good base, so I think with the players on the team there's always potential to win tournaments and be the best, it's just finding the right formula to do it. When you have AdreN coming in and playing some roles he never played, he's speaking English, which isn't his first language, NiKo having to in-game lead—which I think he's doing a good job at, but trying to do both things is going to take a toll on him. I think we're in good shape. We had some problems with visas and so on, so we didn't practice as much as we wanted after the Major. After BLAST we only have like two days at home and then three tournaments in a row, so I think for us it's just about going to the tournaments, taking it one game at a time and seeing how things go. At this tournament, with the vetos and everything, I wanted to go for some of the maps that we didn't play as much to see where our map pool really stands. Maybe some of the maps we haven't been playing much could turn out to be some of our stronger maps, so that's also something we need a bit more time to figure out where we stand in regards to the map pool. olofmeister hasn't been playing at his peak level, definitely. As the coach, can you actually work with him as an individual to try and help him figure out what is going wrong and what is going right, considering that he is a player that won two Majors and was the best player in the world in 2015? How much input can you actually give into the details of a single player? Yeah, well, for me the priority was coming in to organize the team as a whole, so I didn't focus that much on individuals because I feel that it's all interconnected. If the team isn't on the right path and set in some of the things, it's going to be very hard for individuals to play because they don't have the confidence knowing what's going on. I think with some of the guys, yeah, you definitely feel like you want to have everyone comfortable and playing at their best level, so for things like that I think it just comes down to playing a bit more and feeling a bit more comfortable with your own game. But I always talk to the guys and tell them "hey, if there's anything you're uncomfortable with about the roles"... We did some switching after ELEAGUE, before the Major, then we made some minor ones after the Major as well, for upcoming tournaments, and my doors are always open for someone to come and say "hey, I don't feel comfortable here, can we change something?" or "I want to be in a more aggressive role," or something like that, so moving forward if it does become something that starts to pop up, it's definitely going to be something I'm going to try and work on. In regards to olofmeister, particularly, he's such an intelligent player that he brings a lot of value in terms of his communication, some of the ideas he has, you can always count on him in clutches and lurks, so sometimes even if he doesn't put up huge numbers, he definitely contributes a lot to the team. Last question, will you have a chair this time? So they're searching for an experienced and committed IGL who has done the role for a long time and who is "willing to do the work and sacrifice himself for the team" So Karrigan then? Ange1 Maj3r or Neo Not sure about neo though. MSL ? GOLDEN ? I think he is underrated as IGL. It wasn’t that karrigan was a bad igl it’s that it stopped working. Same thing happened in astralis and they benched karrigan. It could work, thing is it's pretty obvious now that NiKo doesn't respond to hierarchy that well. Not sure if that's something that would work under golden who rather prefers more structure. They should try Gob b, he is completely dedicated to his team and its players. He has great man management skills, which is a big plus working with "superstars"
Faze needs hybrid player and igl like glaive. Glaive is one of a kind. You don't get many good hybrid IGLs. I agree. Do we miss some free igls or talented? I guess golden? Hes decent. Isnt stan like IGL that sets himself in good positions? I don't think he has the mental strength to rule a team like faze, you need to be a natural leader. Karrigan had it, Fallen has it, Gob b has it, stan doesn't. TaZZ :D But in all seriousness I think Golden fits them the best in terms of sacrifice, fraging capabilities. he is from sweden and can speak English so that works. and he is hungry. I personally didnt like the guy at first but I think people are sleeping a bit on him and in terms of likability, he grows on you. summarizes the whole victorious trajectory of chrisJ igl in a single minor game. Gob b should be tried. A highly dedicated guy who is a natural leader with a very friendly attitude. >having the most talented fragger in the team taking the burden of igling >"not by force"
YNK: "Time to think about the weather"
So -adren +chrisJ igling pleaseee! Not in the near future. Also Niko and ChrisJ arent best friends. Happy can join you for the right money. The only free guy with IGL role with experience but also other stuff. All others with such a "history" arent free or play in an active roster. finally they are searching a good IGL. trial period for niko was too much. I would keep the same faze with out adren; replace him with either Neo or Ange1; they are both old school igls and their strats would definitely work in the hands of faze clan. Golden,angel,neo,taz,daps, N0thing or snappi and it could work. NiKo is terrible as igl.